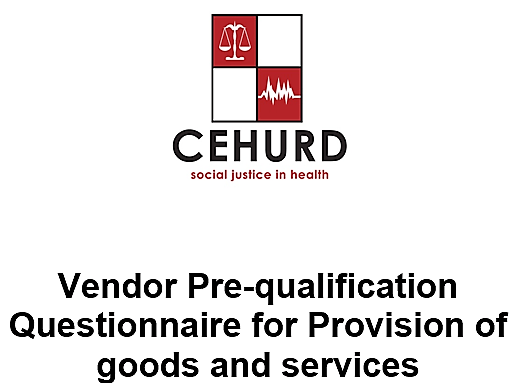 The Center for health Human Rights and Development (CEHURD) is developing a list of Vendors qualified to provide goods and services at acceptable standards. This Pre-qualification Questionnaire was therefore designed to collect sufficient VENDOR information with regard to its capability and interest in providing goods and services. Please find the Pre-qualification Questionnaire HERE.